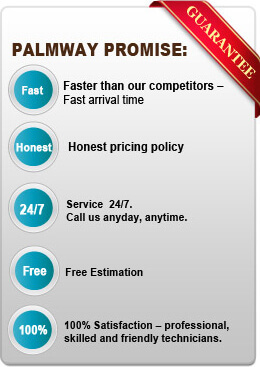 Where else in Corona can you go for first-rate locksmith services, except Palmway Locksmith? There is no better choice for exceptional service and reliability. Our track record is proven as we have been serving the local Corona community for many years. Corona places their trust in Palmway Locksmith because our reputation precedes itself. Imagine you’ve gone shopping and you are returning to your car when all of the sudden you realize that you left your keys in the ignition. You are probably feeling helpless right now and very frustrated. If you’re in Corona you should have no anxiety because within 30 minutes Palmway Locksmith can be at your service, get you out of this situation, and get you back into your car. Although locking your keys in your car can be a serious problem for you, there are worse things that could happen. Envision yourself getting into your car and turning your key in the ignition. The car won’t start and you continually and more aggressively turn the key. Imagine the key breaks off in the ignition. Palmway Locksmith can handle that job too. We can extract your broken key from the ignition and make a new one on the spot. Palmway Locksmith doesn’t only handle automobile lockouts. We can also resolve residential and commercial lockout situations. In commercial lockouts we use many of our advanced lockout solutions such as installing door locks, re-keying master systems, repairing doors, and picking locks. Residential lockouts are another specialty of ours. With your residence being your number one priority, Palmway Locksmith cares about your safety and protection. We call install high security locks, re-key locks, and even install garage doors locks and gate locks. As you can see, many things can happen to keys and locks in automobiles, commercial establishments and even your home. If any of these situations happen to you, feel lucky you are in the Corona area because Palmway Locksmith can be there for you within 30 minutes and serve you just like we have been serving the rest of the Corona community for a number of years now. There are so many benefits to choosing Palmway Locksmith as your primary source of assistance in any lockout situation. Palmway Locksmith goes the extra mile for its Corona customers. See what we offer you. Reputation. As we’ve mentioned, Palmway Locksmith has been delivering quality service to the Corona community for a lot of years. Cost. You might think this is going to make you broke. Absolutely not! We have the best prices in the locksmith business. Response. We can respond to your needs within 30 minutes of your call. Call us and see for yourself. Availability. We are here to assist you 24 hours a day and 7 days a week. We’re always open for your business. Service. We provide the best customer service in the business. We’ll delight you with our professional and courteous service. Visit our google+ buisness page.